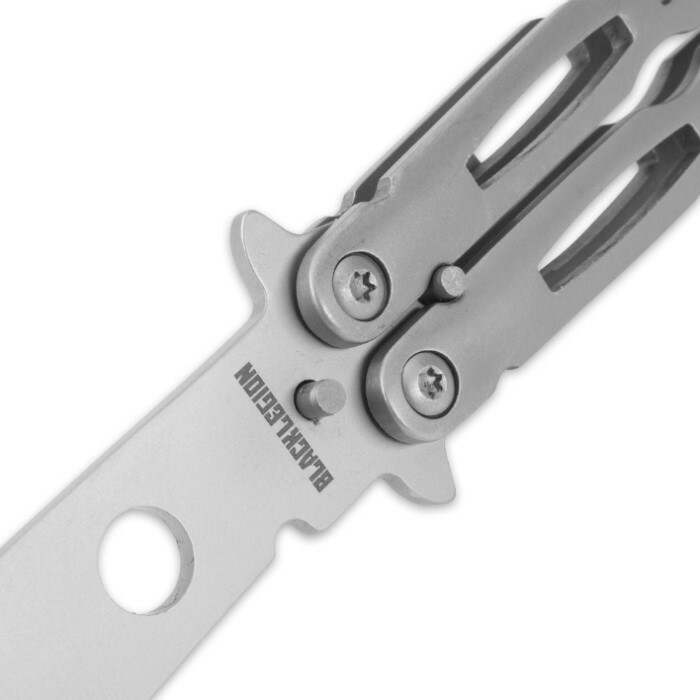 Master your butterfly knife skills with the Black Legion Butterfly Knife Trainer! Forged from tough stainless steel with a stylish matte gray anodized finish, this chic training knife looks, feels and functions just like the real thing. Its 4" dull, blunt, false edged "blade," however, is decidedly more forgiving than the razor sharp blades on genuine butterfly knives. 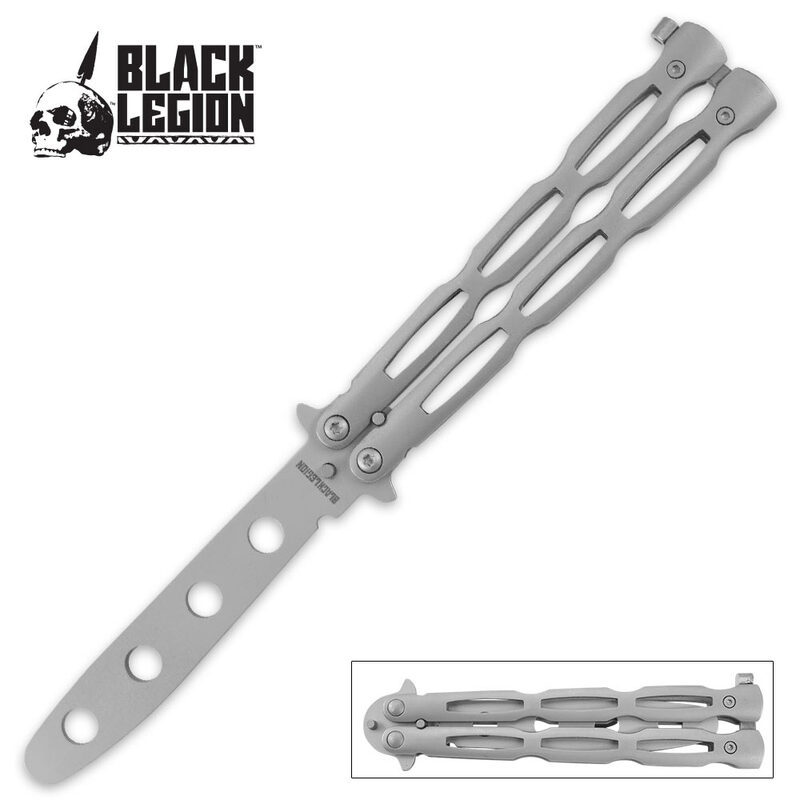 Impress your friends with your wicked butterfly skills without subjecting them to a bloodbath - use the Black Legion Butterfly Knife Trainer! 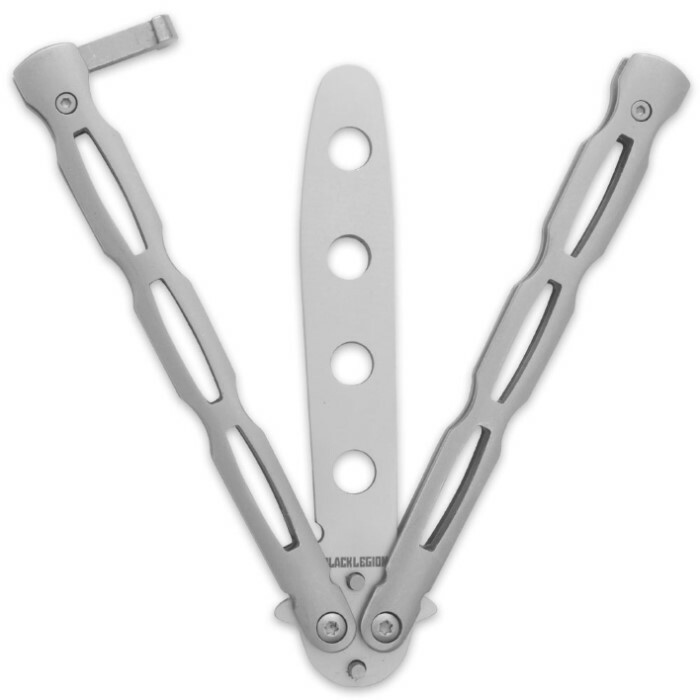 Perfect for training, practice or even as a prop in theater or screenplays.